Vote early! Generations of democratic activists have campaigned over centuries to give the franchise to all adult citizens. (Yes, and that right should extend to all citizens who are in prison too).2 Vote early and be proud to vote! William Hogarth’s Oxfordshire Election (1754) satirised the votes of the halt, the sick and the lame. Nonetheless, he shows the process of open voting in action, with officials checking the voters’ credentials, lawyers arguing, and candidates (at the back of the booth) whiling away the time, as voters declare their qualifications and call out their votes. Open voting was the ‘manly’ thing to do, both literally and morally. Not only was the franchise, for many centuries, restricted to men;4 but polling was properly viewed as an exercise of constitutional virility. 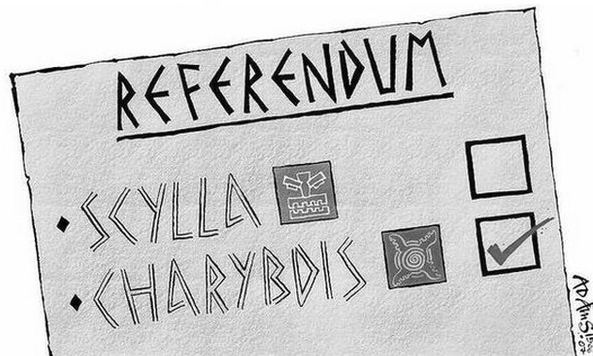 The electoral franchise was something special. It was a trust, which should be exercised accountably. Hence an Englishman should be proud to cast his vote openly, argued the liberal philosopher John Stuart Mill in 1861.5 He should cast his vote for the general good, rather than his personal interest. In other words, the elector was acting as a public citizen, before the eyes of the world – and, upon important occasions, his neighbours did come to hear the verdict being delivered. Furthermore, in many cases the Poll Books were published afterwards, so generating a historical record not only for contemporaries to peruse, and for canvassers to use at the following election, but also for later historians to study individual level voting (something impossible under today’s secret ballot). 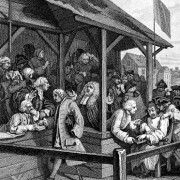 Performing one’s electoral duty openly was a practice that was widely known in constitutionalist systems around the world. Open voting continued in Britain until 1872; in some American states until 1898; in Denmark until 1900; in Prussia until 1918; and, remarkably, in Hungary until 1938. Not only did the voter declare his stance publicly but the onlookers were simultaneously entitled to query his right to participate. Then the polling clerks, who sat at the hustings to record each vote, would check in the parish rate books (or appropriate records depending each variant local franchise) before the vote was cast.8 In the event of a subsequent challenge, moreover, the process was subject to vote-by-vote scrutiny. One elector at a parliamentary by-election in Westminster in 1734 was accused by several witnesses of being a foreigner. He was said to have a Dutch accent, a Dutch coat, and to smoke his pipe ‘like a Dutchman’. Hence ‘it is the common repute of the neighbourhood that he is a Dutchman’.9 In fact, the suspect, named Peter Harris, was a chandler living in Wardour Street and he outfaced his critics. The neighbours’ suspicions were not upheld and the vote remained valid. Nonetheless, public opinion had had a chance to intervene. Scrutiny of the electoral process remains crucial, now as then. Was this what Peter Harris, of Wardour Street, Westminster, looked like? Well then, why has open voting in parliamentary elections disappeared everywhere? There are good reasons. But there is also some loss as well as gain in the change. Now people can make a parade of their commitment (say) to some fashionable cause and yet, sneakily, vote against it in the polling booth. Talk about having one’s cake and eating it. That two-ways-facing factor explains why sometimes prior opinion polls or even immediate exit polls can give erroneous predictions of the actual result. Overwhelmingly, however, the secret ballot was introduced to allow individual voters to withstand external pressures, which might otherwise encourage them to vote publicly against their true inner convictions. In agricultural constituencies, tenants might be unduly influenced by the great local landlord. In single-industry towns, industrial workers might be unduly influenced by the big local employer. In service and retail towns, shopkeepers and professionals might be unduly influenced by the desire not to offend rich clients and customers. And everywhere, voters might be unduly influenced by the power of majority opinion, especially if loudly expressed by crowds pressing around the polling booth. For those reasons, the right to privacy in voting was one of the six core demands made in the 1830s by Britain’s mass democratic movement known as Chartism.10 In fact, it was the first plank of their programme to be implemented. The Ballot Act was enacted in 1872, long before all adult males – let alone all adult females – had the vote. It was passed just before the death in 1873 of John Stuart Mill, who had tried to convince his fellow reformers to retain the system of open voting. (By the way, five points of the six-point Chartist programme have today been achieved, although the Chartist demand for annual parliaments remains unmet and is not much called for these days). Does the actual voting process really matter? Secrecy allows people to get away with things that they might not wish to acknowledge publicly. They can vote frivolously and disclaim responsibility. Would the Monster Raving Loony Party get as many votes as it does (admittedly, not many) under a system of open voting? But I suppose that such votes are really the equivalent of spoilt ballot papers. Electoral processes, however, are rarely matters of concern to electors – indeed, not as much as they should be. Overall, there is a good case for using the secret ballot in all mass elections, to avoid external pressures upon the voters. There is also a reasonable case for secrecy when individuals are voting, in small groups, clubs, or societies, to elect named individuals to specific offices. Otherwise, it might be hard (say) not to vote for a friend who is not really up to the job. (But MPs choosing the Speaker are voting as representatives of their constituencies, to whom their votes should be accountable). In addition, the long-term secrecy of jury deliberations and votes is another example that is amply justified in order to free jurors from intimidation or subsequent retribution. But, in all circumstances, conscientious electors should always cast their votes in a manner that they would be prepared to defend, were their decision known publicly. And, in all circumstances, the precise totals of votes cast in secret ballots should be revealed. 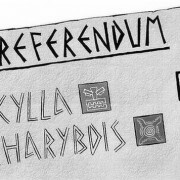 The custom in some small societies or groups, to announce merely that X or Y is elected but to refrain from reporting the number of votes cast, is open to serious abuse. Proper scrutiny of the voting process and the outcome is the democratic essence, along with fair electoral rules. In Britain, as elsewhere, there is still scope for further improvements to the workings of the system. The lack of thoroughness in getting entitled citizens onto the voting register is the first scandal, which should be tackled even before the related question of electoral redistricting to produce much greater equality in the size of constituencies. It’s also essential to trust the Boundaries Commission which regularly redraws constituency boundaries (one of the six demands of the Chartists) to do so without political interference and gerrymandering. There are also continuing arguments about the rights and wrongs of the first-past-the-post system as compared with various forms of Alternative Voting. Yet we are on a democratic pathway …. Hence, even if parliamentary elections are no longer occasions for carnival crowds to attend as collective witnesses at the hustings, let’s value our roles individually. The days of open voting showed that there’s enjoyment to be found in civic participation. 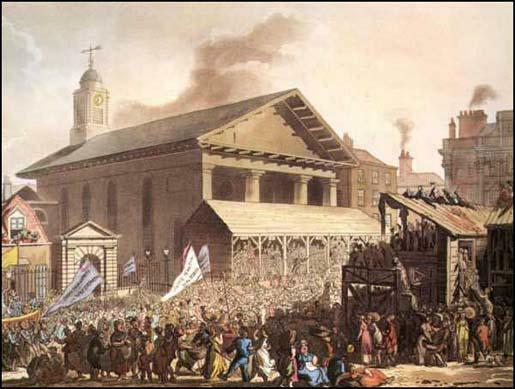 Thomas Rowlandson’s Westminster Election (published 1808), showing the polling booths in front of St Paul’s Covent Garden – and the carnivalesque crowds, coming either to vote or to witness. 1 With warm thanks to Edmund Green for sharing his research, and to Tony Belton, Helen Berry, Arthur Burns, Amanda Goodrich, Charles Harvey, Tim Hitchcock, Joanna Innes, and all participants at research seminars at London and Newcastle Universities for good debates. 2 On this, see A. Belton, BLOG entitled ‘Prisoners and the Right to Vote’, (2012), tonybelton.wordpress.com/2012/12/04/prisoners-and-the-right-to-vote/. 3 See J. Elklit, ‘Open Voting’, in R. Rose (ed. ), International Encyclopaedia of Elections (2000), pp. 191-3; and outcomes of open voting in metropolitan London, 1700-1850, in www.londonelectoralhistory.com, incl. esp. section 2.1.1. 4 In Britain, adult women aged over 30 first got the vote for parliamentary elections in 1918; but women aged between 21 and 30 (the so-called ‘flappers’) not until 1928. 5 J.S. Mill, Considerations on Representative Government (1861), ed. 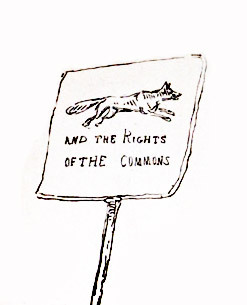 C.V. Shields (New York, 1958), pp. 154-71. 6> See F. O’Gorman, Voters, Patrons and Parties: The Unreformed Electorate of Hanoverian England, 1734-1832 (Oxford, 1989). 7 British Library, Broughton Papers, Add. MS 56,540, fo. 55. Lamb then lost the seat at the next general election in 1820. 8 Before the 1832 Reform Act, there was no standardised electoral register; and many variant franchises, especially in the parliamentary boroughs. 9 Report of 1734 Westminster Scrutiny in British Library, Lansdowne MS 509a, fos. 286-7. 10 For a good overview, consult M. Chase, Chartism: A New History (Manchester, 2007). 11 BBC News, 26 March 2015: www.bbc.co.uk/news/uk-politics-32061097. 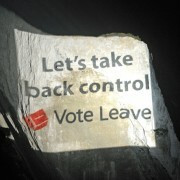 MONTHLY BLOG 10, WHAT’S WRONG WITH THE ARTS & HUMANITIES RESEARCH COUNCIL CITING POLITICAL SLOGANS? Why are many Humanities researchers so angry at the conduct of the Arts and Humanities Research Council? Its chief executive Prof. Rick Rylance has not yet managed to assuage his critics. They fear that the AHRC has not kept due operational distance from the present coalition government and the David Cameron slogan ‘the Big Society’. 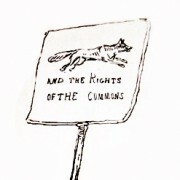 The ins-and-outs of what has happened are subject to dispute (see reports by Paul Jump in The Times Higher: 29 March 2011; 7 April 2011; 27 June 2011). But there is genuine concern about the AHRC’s Connected Communities project. This cross-research-council programme, led by the AHRC, appears to have become politically partisan. Its draft consultation paper in June 2010 declared that: ‘Radical new policies on the ‘Big Society’ & localism at the heart of the new Coalition Government’s strategy in England … require a step change in research engagement with local communities and groups, the third sector and local government’. That statement is in itself contentious. Should research methodologies really change with every change of government policy? Moreover, the AHRC website features a 2010 policy context paper (pdf.2053kb) by Dr Bert Provan, Deputy Director in the Department of Communities & Local Government. His presentation quotes David Cameron extensively. It is stated as a truth, and not as a research question, that, in ‘broken Britain’, government is ‘a large part of the problem’. It has allegedly ‘drained the lifeblood’ from community life. Has it really? Internationally, Britain is often envied for its strong tradition of civil society by post-dictatorship countries, where civic associations have long been discouraged. But Provan’s presentation under the title of ‘Connected Communities or Building the “Big Society”’ seems to imply that the CC project (launched in 2008) is being refashioned to endorse and promote the ‘Big Society’ political agenda. Firstly: the terminology. 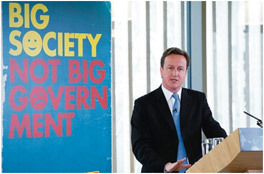 The ‘Big Society’ has clear party-political connotations. It is not a general term of art. The usual phrase for voluntary activities undertaken communally is ‘civil society’. That term has a clear meaning, with historic and current traction. It is true that, in practice, the boundaries between civil society, the private sector, and central government are blurred. Yet a degree of ‘fuzziness’ attaches to many terms that sub-divide the interlocking nature of human societies. The important thing is that the term ‘civil society’ links to a body of existing research and organisational effort. For example, the South African-based international society Civicus (founded 1993) already offers a Civil Society Index and policy recommendations to enhance citizen participation.1 The term is descriptive and politically neutral – whereas the ‘Big Society’ is used specifically to advocate ‘small government’. Secondly: the pre-committed research framework. Programmes should not start by ruling out all the research options. In this case, it cannot be taken for granted that ‘the’ central state is ‘the’ problem for those seeking to build communities. Governments in contemporary societies are very variegated and diverse in their roles and structures. Their impact can in some circumstances be inimical or discouraging to community activism. Yet that proposition needs to be investigated, not just asserted. At the same time, the state can foster various forms of community developments, not least by framing a helpful legal context (for example, in support of cooperatives) or by providing grants and support systems for charitable endeavours. So favourable aspects of government also need exploration and debating. 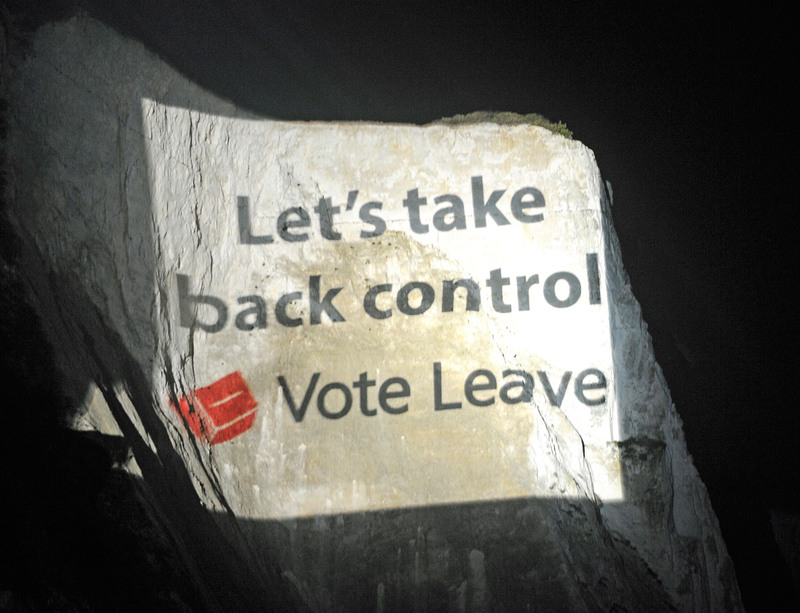 Once political slogans begin to be taken as axiomatic, then the research rot commences. Subjects atrophy, if they are forced into pre-determined moulds. The extreme example – taking the extreme to make the case – can be seen in the fate of biological sciences in Stalin’s Russia. Elevating ‘practice’ above abstract academic theory, Trofim Lysenko (1898-1976) claimed to have pioneered a new genetics that would raise agrarian productivity dramatically, without investment in fertilisers. Stalin was delighted. [See the following photo, which shows his approving gaze at Lysenko’s 1935 Kremlin speech] Lysenko was lauded as an authentic ‘barefoot professor’, his peasant wisdom outwitting the ‘bourgeois’ academics. From 1940, Lysenko led the USSR’s Institute of Genetics. Critics were dismissed or imprisoned. Lysenkoist biology based upon environmental-manipulation rather than slow evolution was taught as a new orthodoxy. Of course: this example is the extreme case. But it constitutes the classic warning. As soon as powerful politicians want one result from research and researchers are tempted to provide it, then knowledge halts. Thirdly and lastly: research hubris. Such an aspiration does not just sound like a political manifesto, it is a political manifesto. It is not just providing research but it highlights desired research outcomes that no research council can possibly deliver. Even politicians, with their hands on the levers of power, fail to mould society to their wishes. It is certainly helpful for academic researchers to be aware of the practical applications of their work. And it would be splendid if politicians took notice of such studies. However, communities have an organic life of their own. They can be encouraged or discouraged. But they do not depend upon politicians or upon researchers eager to please politicians. Alas, the Connected Communities programme has fallen into a heffalump trap. It is true that successive governments would not like it if all scholars were suddenly to specialise in ‘The Economic Influences of Developments in Ship-Building Techniques 1450-1485’. (No disrespect to fifteenth-century ship-building, by the way. The example has been chosen because, as readers of Kingsley Amis will remember, it was the historic target of his anti-intellectual satire in Lucky Jim (1954). )7 Yet the remit of research in the Humanities stretches far and wide in chronology and location. It is generally researcher-led, in the interests of creativity and innovation (and including the risk of routine and dullness). Some big themes are encouraged by the research councils, which influence patterns of funding. But they take advice in choosing such themes, which usually reflect rather than create intellectual growth areas. We don’t want to fall into the Lucky Jim trap of a researcher hating his research task, in which he had absolutely no interest. That’s clearly not productive, either intellectually or socially. Yet we don’t want to fall into the opposite trap of claiming to effect grandiose plans, which fall beyond researchers’ competence to deliver, in order to please political pay-masters. Talking of the vogue for Localism on the part of a repentant central government, I remember Hazel Blears, then Labour’s Secretary of State for Communities and Local Government, proudly informing a group of local community activists in Putney (2008) that: ‘It has fallen to me to regenerate Britain’s communities’. She got a collective raspberry from her audience, who daily struggled to promote citizen engagement. They were not impressed. Voters weren’t enamoured either. While politicians necessarily include some hot air in their armoury, it should be good quality rhetoric. And researchers should avoid it entirely. 1 This World Alliance for Citizen Participation is self-defined as ‘an international alliance of members and partners which constitutes an influential network of organisations at the local, national, regional and international levels, and spans the spectrum of civil society’, committed to expanding democracy and citizen participation: see www.civicus.org. The interesting website is, however, insufficiently clear about the actual leadership and membership of Civicus. 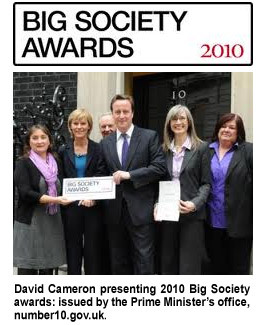 2 David Cameron presenting 2010 Big Society awards: issued by the Prime Minister’s office, number10.gov.uk. 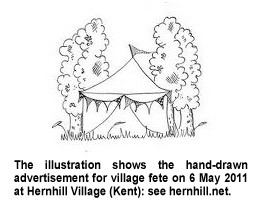 3 The illustration shows the hand-drawn advertisement for village fete on 6 May 2011 at Hernhill Village (Kent): see hernhill.net. 4 See N. Roll-Hansen, The Lysenko Effect: The Politics of Science (2006); and V. Soyfer, Lysenko and the Tragedy of Soviet Science, transl. L. and R. Gruliow (1994). 5 AHRC website: Connected Communities Revised Draft Outline for Consultation (July 2010) – Vision. 6 Ibid: Aims – the second of seven bullet-points. 7 Kingsley Amis, Lucky Jim (1954; in Penguin 1977 edn), p. 15.
https://www.penelopejcorfield.com/wp-content/uploads/2014/08/Penelope-J-Corfield.png 0 0 Penelope J Corfield https://www.penelopejcorfield.com/wp-content/uploads/2014/08/Penelope-J-Corfield.png Penelope J Corfield2011-07-01 12:00:412018-03-01 16:23:20MONTHLY BLOG 10, WHAT’S WRONG WITH THE ARTS & HUMANITIES RESEARCH COUNCIL CITING POLITICAL SLOGANS?